Santaï was formed in Maastricht in 2011. Their performance is a travel through danceable, burlesque and intimate moments. 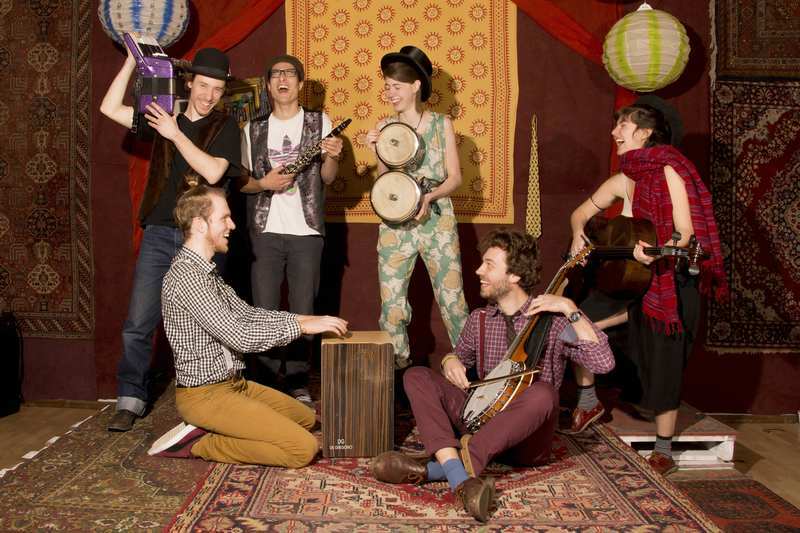 With their artistic mix of musical styles ranging from Folk to Klezmer, including theatre and slam interludes, the ensemble invites the audience to laugh, to think and to wonder. Since the release of their album “SANTAΪ” in 2013, the group has toured in numerous countries, released videos and played at festivals across Europe.